Known as the trustworthy Manufacturer, Exporter & Supplier, we offer a wide array of UPVC 2D Hinges. These UPVC 2D Hinges are used for openable windows. 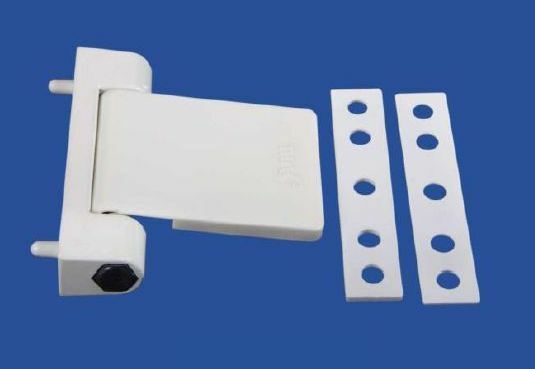 Manufactured using high quality UPVC (Unplasticized polyvinyl chloride), our UPVC 2D Hinges are accredited for attributes like optimum strength, durability, weather resistance, etc. We provide these UPVC 2D Hinges in diverse colors like white 9016, off white 9010, golden and black.